There are mainly two manufacturing technology of seamless welded steel pipes, cold-drawing and hot rolling. This article is going to introduce the detail process of these two technologies. 1. 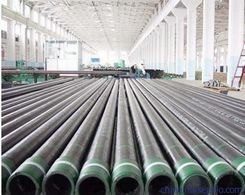 Cold-drawing seamless steel pipes: round pipe blank—heating—punching–hitting the head—annealing—acid pickling—fat liquoring--(copper plating)—multi-pass cold drawing(cold rolling)—base pipe—heat treatment—straightening-- hydrostatic test (flaw detection)—signing-- putting in storage. Cold-drawing seamless steel pipes take hot rolled steels as raw materials. Using cold continuous rolling after de-scaling through acid pickling gets the finished product--full hard, because of cold hardening caused by continuous cold deformation makes strength and hardness of full hard increase, and toughness and plasticity index decrease, so that the stamping performance will deteriorate. Thus, this kind of process can only be used for simply distortional parts. Full hard can be used as the raw material for hot galvanizing factory, because hot galvanizing units are all equipped with annealed wires. The full hard weights generally 6 to 13.5 tons, with inner diameter 610 mm. Generally the plates and rollers for cold continuous rolling shall all pass through continuous annealing (CAPL units) or cover annealing to eliminate cold hardening and rolling stress, corresponding to mechanical performance index prescribed by the standard. Surface quality, appearance, dimensional precision of Cold-drawing seamless welded steel pipes are all better than that of the hot-rolled seamless steel pipes, and its products thickness can reach 0.18 mm or so. 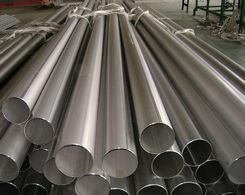 Thus, Cold-drawing seamless welded steel pipes are favored by the users. And then carry out deep processing of the products based on cold-rolled steel coils as baseplates, making them the high value-added products, such as electro-galvanizing, hot galvanizing, electric galvanizing with fingerprints resisted function, color precoated steel plates and vibration reduction clad steel plates, PVC laminating steel plates, etc. After deep processing, these products have excellent qualities of beautiful and high corrosion resistance, which has made them widely applied. The cold-rolled steel coils must be proceed with finishing after annealing, including cutting head, tail, edge, flattening, leveling, rewinding, or cutting plates in a longitudinal shear way, etc. Cold-rolled products are widely used in automotive manufacturing, household electrical appliances, instrument switch, buildings, office furniture and other industries. 2. Hot rolling (squeezing) seamless steel pipes : round pipe blank—heating—punching –skew rolling with three rollers, tandem rolling, or squeezing- taking off the pipes—sizing(or reducing)—cooling—base pipe—straightening— hydrostatic test (flaw detection) —signing—putting in storage. Hot-rolled seamless steel pipes make continuous casting slabs or blooming slabs as raw materials, after heated by walking beam furnace, descaled by high pressure water entering the roughing mills. Roughing materials are placed into the finishing mills after cutting head and tail to proceed with the computer controlled. And then pass through the laminar cooling and reeling by recoiling machine, becoming straight volume. The head and tail of the straight volume usually present tongue shape and fishtail shape, with poorer thickness, width and accuracy, edge side often existing defects such as wave shape, folding, turriform. The straight volume weight is heavier, and coil diameter is 760 mm (general pipe industry like to use it). After passing through the cutting head, cutting tail trimming and multi-pass straightening, leveling and other finishing line processing of straight volume, cut plates or rewind to turn it into hot rolled steel plates, flat hot-rolled steel coil, rip cutting belts and other products. If hot rolled finishing volume is removed scale after acid pickling and oiled, it becomes the hot-rolled pickling steel coil sheet. This product has the trend to replace cold-rolled sheet partly, together with moderate cost, being favored by the extensive users.